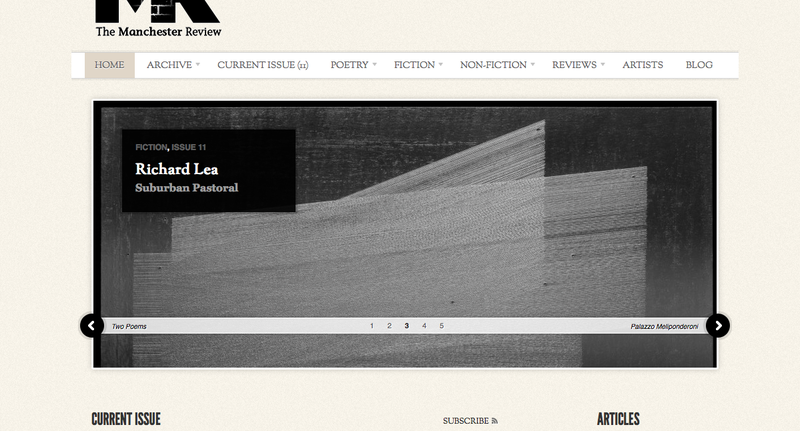 The Manchester Review: Issue 11 is now live! This is how it will start. You see him on stage, strumming a blue Stetson, his mouth tightened in concentration. You look at him through your viewfinder and capture him singing along with the chorus. He looks directly into your camera, and you let it hang loose around your neck. You hold his gaze, then look away. It will be a game, and you will win. That is how it will start. Intrigued? Click through to read more. We’re currently closed for submissions, but we’ll reopen in the New Year with an announcement about our Spring and Autumn issues for 2014. Stay tuned!